When is it too late to improve handwriting? Handwriting help for older children. So long as there aren’t any fundamental underlying neurological or other medical issues at play, the answer is it’s never too late. Handwriting help for older children can really assist them. But there is one condition that needs to be present for improvement to take place. Your child has got to want it really badly. Not you. Your child. Handwriting help for older children. We are contacted almost weekly by parents of older children where handwriting has gone wrong. They are looking for ways for helping older kids with poor handwriting. Some children are being penalised for untidy handwriting – which in my opinion should be outlawed! Some are struggling to keep up with the written work in class. Some are not able to get through the 3 hour exams without feeling like their hands and arms are falling off. And some parents are concerned their children are not going to be able to achieve at their best level, or that their handwriting may even impact on their tertiary education prospects. They are looking for solutions to help their older children with handwriting. For each and every one of these parents, my conversation with them starts with “who is concerned about the handwriting?” When it comes to improving handwriting of older children there are complexities around it. With time, handwriting becomes hardwired. The motor maps and patterns in the brain become automatic and it takes commitment to be able to change them. It isn’t that you can’t change them – it’s just that it takes consistency, commitment and time to achieve and maintain that change. And that is why it is so critical as to who wants the change. 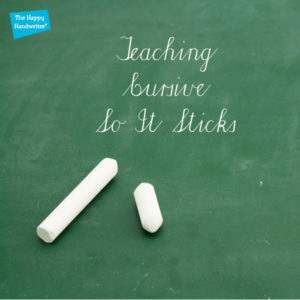 If it is us as parents who think our children should improve their handwriting, then the chances are that we are not going to be able to achieve lasting changes that are gong to make a difference in the examination situation. Unless the new handwriting patterns achieve a high level of automaticity, your child will revert to their previous handwriting patterns as soon as they are under pressure. This is because your child is devoting all their conscious attention to ensuring that they give the correct answer and write it in the best way. They focusing on the “what” to write, not on the “how” to write it. There is no time to focus on the “how” of handwriting in tests and examinations. Tips to help older kids: time for a chat! I always ask of these parents to go away and have a conversation with their older children about how badly they want their handwriting to change. And before they do that, I do explain that bribery doesn’t work. We as parents think that sometimes we can incentivise our children to want what we believe to be good things for them. But my experience of this with older children and handwriting improvement, is that it doesn’t work. Again and again I have seen the whole process come unstuck unless the child is fully on board. When my daughter was in Grade 7, I decided it was time for her to learn to touch type. You all know I am the Handwriting Lady, but I believe our children need keyboarding as well. And I believe it needs to be the real deal – touch typing with a high speed and low error rate. None of this hunt-and-peck stuff. And so, this handwriting mom with her “keep-tech-in-check” outlook, purchased an iTunes gift card to incentivise this process. And it was a high value card! With her eyes fixed on the gift card, my daughter got stuck in with vengeance. However, by day 5 the card lost it luster and 10 minutes a day over the summer holiday seemed to be beyond her grasp. The card remained forgotten on the pin board for a further 4 years until I re-gifted it to her for her 16th birthday! This isn’t about incentivising our children to want to improve their handwriting – it is about establishing if they want to. Helping older kids with poor handwriting. Most of the conversations end at that point. Many children just don’t see handwriting issues the same way we as parents do. Some parents return and say their children are not interested and how can they encourage them to become interested? At that point I usually say that the time will come when their children wish that they could write better. That their handwriting is costing them and then really need help. And that is the time. The time is right when our children want to improve their handwriting and not when we think they should. When they are younger, we can engage and help them. We can wrap it up in Mickey Mouse or whatever cartoon character is the flavour of the moment. But we are talking here about the older child with entrenched and automatically established bad handwriting patterns. The best way to improve the handwriting of older kids. Let’s just say our children want to improve their handwriting! What happens and how do we proceed if our children are worried about their handwriting and want to get stuck in? When it comes to handwriting help for older children, we work on developing the muscles and movement patterns for good pencil control in handwriting. The principles for this are the same for both older and younger children. The muscles and movement patterns we need to develop are the same, the older child just need to work with greater commitment and with increased repetition to develop the new motor pathways, and to give them time to become automatic. As I said before, if they aren’t automatic, they will revert to their old handwriting patterns as soon as they are under pressure. I try to find times when they can incorporate the exercises into dead times of the day, or times when something will cue them to remember. If they take the car to school, it is a good time to quietly work those muscles. If they need to colour circles to build in the finger movements, I stick those on the fridge. If they have a really bad grip which is impacting on their handwriting speed and they find one that is a good fit for them, we make use of a pencil grip. These are the children who want it – they don’t care about the social nuances of a pencil grip. We often make changes to the book position by adopting a crocodile mouth®. 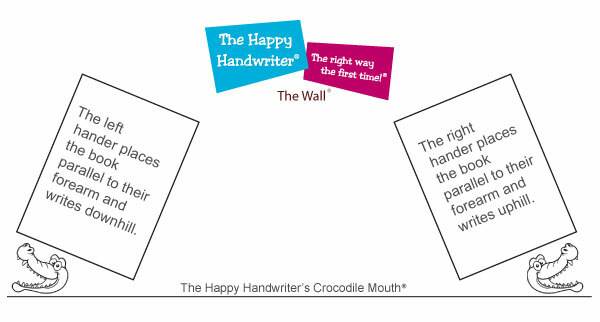 Many use a slightly angled writing surface such as a lever arch file in addition to the crocodile mouth®. Sometimes we look at adopting a new handwriting style. This new set of motor maps is a chance to start over – a second bite at the apple. Many children no longer learn cursive, so this can be an option for these children and we have achieved good results introducing cursive handwriting as a new set of handwriting motor maps. In addition, we sometimes make use of Irish lines as they provide an external structure that can assist. Tips to improve handwriting in older kids: it takes time! We propose a commitment to a 6 week intensive period for addressing all these aspects of handwriting. 15 minutes 5 times a week. It sounds a lot but the period is finite and, if this works (and it often does) it is so worth the time. We make sure that it is not close to examination periods – handwriting can go through a bit of a deterioration when we change styles and patterns and we can’t afford to jeopardize the exams because they are in the middle of a handwriting transition. If our older child has truly committed to the 6 Week Intensive – 5 times a week for 15 minutes – we often see positive shifts in this time. If after this, we have not seen any improvement, I usually recommend that they look towards handwriting accommodations. Some children truly do have a disorder in written expression or Dysgraphia and then we need to support them through that. 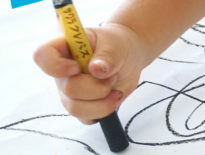 Older children can improve their handwriting if they want to, and they are prepared to put in the time and commitment. 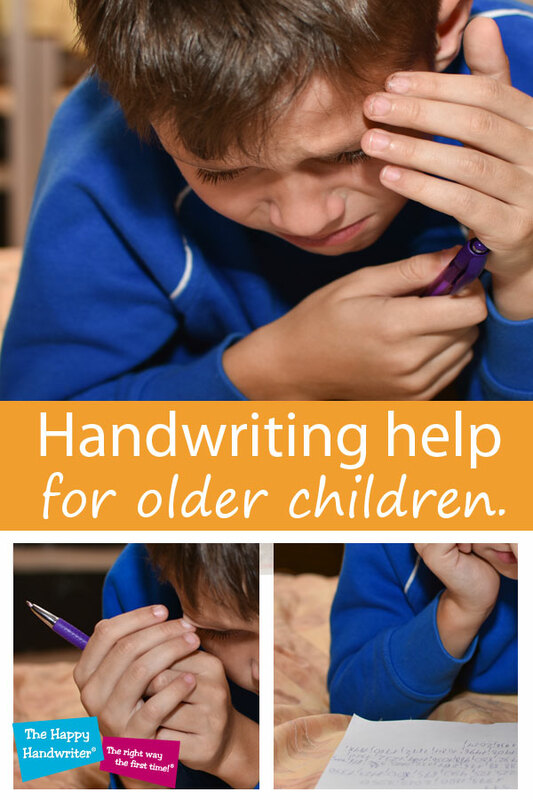 Handwriting help for older children can work, it just takes longer. Our role as parents, teachers and occupational therapists is to ensure they have the resources, and to support and encourage them through the change – not nag and bribe – and that comes in humility from the mom who tired to bribe her daughter to touch type! Read more about handwriting help for older children by the verywell family. General News	Does Pencil Grip Matter? 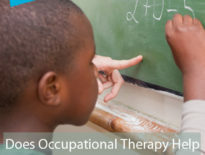 General News	Does Occupational Therapy Help with Handwriting?